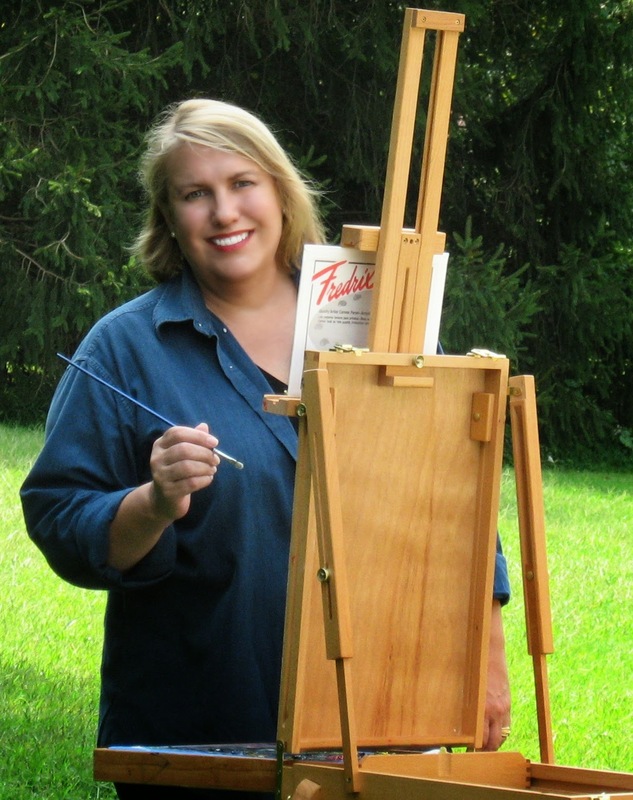 Weekly Painting Classes in our Studio in Kennett Square! Sign up now for weekly classes! Each half-day (9:30 - 11:45 am) class meets for 4 weeks on Wednesdays. Send an email to reserve your place in upcoming classes. $137 per person for 4 classes. I can add a class or a workshop just for you and your friends! Up to 10 people in my studio, or up to 25 people in an accommodating venue. Workshop organizers attend free of charge -- ask me for details about how you can book a workshop or class! Don't want to share my attentions with other students? No problem! Private one-on-one lessons are also available for individual students. $28 per hour, in my studio. There are several great wineries and breweries near my studio -- feel free to byob of your favorite libations to classes and workshops! New shows and events are continuously added, check back often for the latest updates. Feb 7 - 9, - Chadds Ford Winter Plein Air. Awards Reception 5-8 pm, Feb 9th at the Visitors Center Barn. March 2, - I'll be jurying the applicants for Signature Membership in the Baltimore Watercolor Society. May 18 - 19, Chester County Studio Tour. Come visit me other artists in my Open Studio, 10 - 6 pm. Demos, door prizes, nibbles and drinks.105 Kabob Ln., Kennett Square, PA.
June 15 - 16, - Skies - Sunsets, Weather, and Atmospheric Conditions in Watercolor! This 2- day workshop will cover everything you need to know to paint every kind of sky you can imagine, from sunny to stormy, day to night, sunrise to sunset! Hosted by Home Coming Studio in Pennsville, New Jersey. Contact Annette Devitt to register! July 11 - Aug 22, -- Every Thursday, Watercolor Summer School in my Studio and en Plein Air. This is like Summer Camp for grown-ups! Morning session is 9:45 - 12:30, and afternoon session is 12:45 - 3:30. Half day sessions are $39 each session, full day $78 each. Email me to register. Sept 6 - 8, - International Plein Air Painters, Worldwide Paint Out! Where ever I am, I'll be painting and streaming live! Oct 5, - I'll be jurying the applicants for Signature Membership in the Baltimore Watercolor Society. October 14 - 20, - Watercolor Painting Workshop, Demonstration, and Exhibit Jurying at the Central Florida Watercolor Society, Florida. Oct 27 - Nov 3, - Plein Air Brandywine Valley. Ticketed preview party on Friday, Nov 1. Exhibit is open to the public on Saturday and Sunday, Nov 3 - 4 at Winterthur Estate and Gardens, Wilmington, Delaware. Nov 6 - 10, - Art of the Carolinas, Trade Show and Art Expo, Raleigh, NC. I'm teaching workshops in both watercolor and acrylic painting, sponsored by Grumbacher. In between workshops I'll be on the trade show floor demonstrating for the Chartpak company using Grumbacher, Higgens, Kor-i-noor, Indigo, and other brands of fine art materials in my role as a Chartpak Brand Ambassador. Nov 15 - 16, - Unionville Art Gala! Friday 6-9pm, and Saturday 11-4pm at the Unionville High School, Unionville, PA. Kick off your holiday shopping with special sale prices on original paintings! Dec 12, - watercolor workshop at Howard Pyle Studio, Wilmington, DE. 2020 - DATES TBA: Painting Workshop in Brittany, France! With Provence Art Experience and Sennelier! Because we are limited to a small number of people in this group, we are only able to accommodate artists in this workshop. We are not able to offer discounts to non-artists wishing to join us on this trip. We are working out the details now, so be sure to watch this space for more info soon! My TV show, "Painting Seascapes in Watercolor" is now being shown on over 190 television stations worldwide! Check your local cable listings to see broadcast times in your area! I'd love to come teach a workshop in your town! Please tell your local artist organizations and art centers to contact me for current prices! Besides being educationally enriching, my workshops are successfully used by artist organizations as fundraisers to generate significant income! Follow Annie's board Plein air oil paintings by Annie Strack on Pinterest.